We have a reputation for consistent performance and a straightforward professional approach to doing business. We have an enviable track record of delivering high quality developments as well as creative and profitable property transactions. 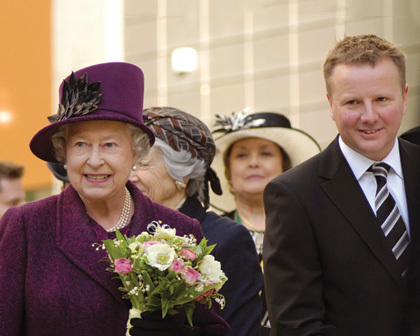 Frontier were honoured to welcome Her Majesty The Queen and His Royal Highness the Duke of Edinburgh to officially open The Hub:MK, a dynamic area of Milton Keynes providing residential accommodation, bars and restaurants. When we set up Frontier Estates in 1996 we chose Milton Keynes for our head office for a reason. Milton Keynes is one of the UK’s fastest growing cities and central to the Oxford-Cambridge Arc.